Wildlife, parks, flora and fauna of Alaska. The nomadic caribou is well-adapted to life in the harsh Arctic climate. About one million of them live in Alaska, divided into over 30 separate herds. When people think of Alaska agriculture, the first thing that comes to mind are usually the huge pumpkins and cabbages at the State Fair. But farms and gardens in Alaska are prolific in spite of the frigid winters and late frosts. If it is "Alaska Grown", you can bet it´s good! Sled dogs were a main means of transportation in arctic regions long before airplanes and snow machines were invented. They may be used more for recreation than necessity these days, but the Alaskan Husky dog still thrives, doing the job they were bred for so many years ago. For those of us in the United States, there is a certain draw to the American Bald Eagle. We are in awe of its size, its’ majesty, and its’ perseverance to survive. It is a visual, real parallel to our country’s existence and in many cases, personal existence. So you want to see the bears of Alaska. This seems to be a great idea but the trick is how to do it safely. There is an abundance of bears and safe viewing areas to be found in Alaska. Kenai Fjords National Park, located at the tip of the Kenai Peninsula of Alaska, is one of the state’s top destination choices. The Park is renowned for its outstanding marine and land wildlife, hiking, fishing and glacier viewing boat cruises. This article is about a Great Horned Owl named Sarah, not about former Alaska Governor and Vice Presidential Candidate Sarah Palin! Through a program by the American Bald Eagle Foundation, I “adopted” Sarah. Almost 2000 miles long from its beginning in the Yukon Territory, stretching across the state of Alaska, through the Yukon Flats in the east, the mountains across the center, the Yukon Delta in the west, finally reaching its destination in the Bering Sea, the Yukon River is certainly mighty. Alaska is the destination and spring/summer nesting grounds for a huge number of migratory birds from all up and down North and South America and even Asia and Africa. Alaska is home to a minimum of at least 470 different bird species, with over half of them being migratory. Musk Oxen in Alaska have hardly changed since the Ice Age. Brought back from near extinction, Musk Ox are found across Alaska in the wild, on breeding farms and wildlife parks where tourists can view these remarkable animals up close. Be sure to visit the famous "Musk Ox Farm" in Palmer, Alaska! Here is a brief description of a few parks in Alaska to celebrate National Park Week! 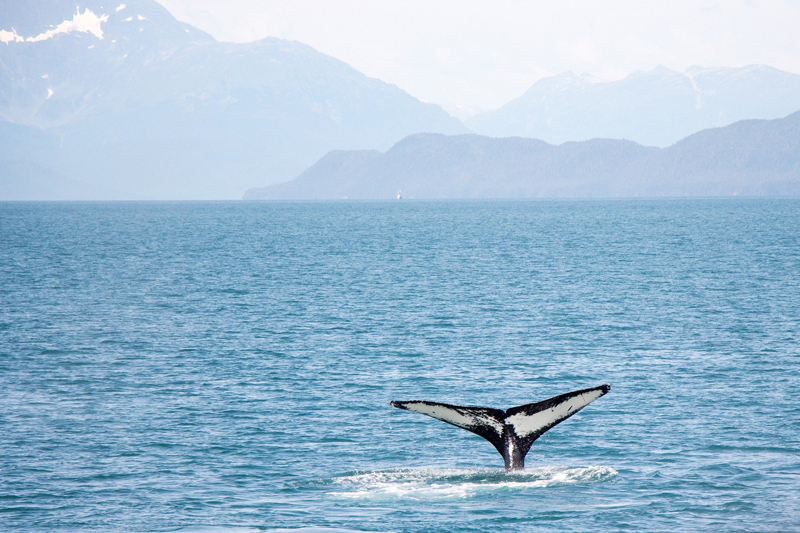 Wouldn’t it be awesome to spend three weeks in June on an Alaskan Eco Tour? Mark Garland does just that, leading the tour. I interviewed Mark via email to gain some insight on his Alaskan tour. Here’s what I found out. Ever wonder “why Alaska”? The Inside Passage, Denali, Prudhoe Bay, and artic chill come to mind immediately when you think of Alaska. But the state is also a huge breeding ground for birds, whales, sea lions, seals and other marine life. The Tongass National Forest is large. 16.9 million acres large. 80% of the Southeast or Inside Passage Region falls within the Tongass. It is the largest National Forest in the United States and the world’s largest temperate rainforest. That's large! When thoughts turn to Alaska, glaciers, bears, and northern lights come to mind quickly. Wildflowers are probably not top on the list. However, there are hordes of beautiful wildflowers in Alaska and many are even edible. Winter in Alaska is beautiful, but it can also be deadly if you are not properly prepared for the cold. This advice is just as important for your pets as it is for yourself. Winter dog care tips for Alaskan dogs and their owners.